I'm not going to bog this down with a play-by-play list of events. It was a packed schedule filled with masterclasses and performances featuring a collection of the finest bassoonists in the United States - students, university/conservatory educators, and orchestral professionals. Instead, I'm going to attempt to capture how unexpectedly transformational this experience proved to be. In a very last minute attempt to maximize my time in LA, I bought a ticket to see the LA Philharmonic for Thursday evening after my arrival. Realizing there would not be any other time to see them perform that weekend, this was wise. You do not want to miss any of the events given at MQVC. My night at the LAPhil was rather unique in that John Adams was conducting and premiered Phillip Glass's latest work, Symphony No. 12. The best part for me was Tumblebird Contrails by young composer, Gabriella Smith. Upon my return from LA I immediately contacted her to discuss a commission. She is booked through 2021 - good for her! George Sakakeeny masterclass - great to observe him working with students! His approach, in so many ways, resonates with what I have found to be true in my own career. Specifically his comments about being in the entertainment industry. Yes! As a musician you are in the business of selling tickets. If you want to compel audiences to spend as much as I did for the LAPhil (and even much less) you need to be offering an experience that starts with stunning music and builds from there. UT-Austin Bassoon Ensemble performing at Friday night reception. Panel discussion on Citizen Artists facilitated by John Steinmetz. MQVC is NOT joking around with their artists. 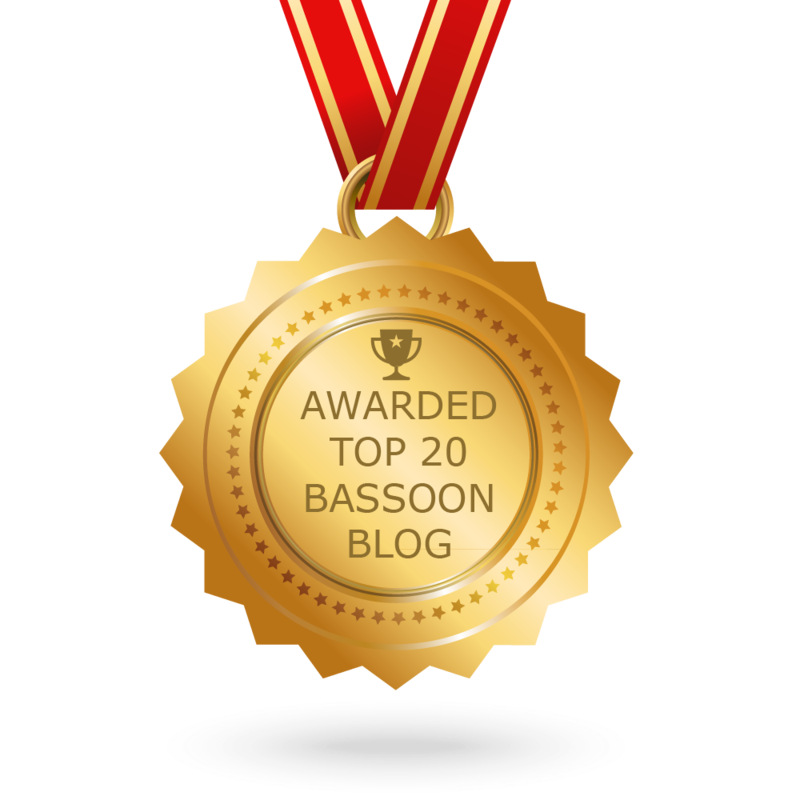 Every event was a veritable "who's-who" of the bassoon world. Save me a few keystrokes and find more detail on their website. This was a great discussion between the panel members. I especially appreciated the diverse careers represented in the panel. Spending my entire career in the "trenches" of audience development, outreach, remote/rural performances, and accessible programming; my passion for being an citizen-artist is simply how I have lived my life! To be a musician is to be part of a community - wherever that may land you. Community Bassoon Band - this was a blast! I believe the final count was 76-80 bassoonists and it sounded pretty fantastic. Great arrangements and just a fun time to sit within the most expensive "forest" a person could imagine. The afternoon/evening performances and competition rounds each day were filled with stunning playing! It was incredible to hear so many wildly accomplished bassoonists back-to-back. I was smitten with the gorgeous sounds/tone/colors I heard all weekend. Being a Wild West bassoonist has been a blast but it has also made me a very isolated bassoonist. I don't often have the opportunity to hear other professional bassoonists, specifically players that inspire me to contemplate and improve components of my playing. I think this was what I most cherished about the MQVC: the constant, focused emphasis on great bassooning. It refreshed my ears and served as a crucial reminder of the great bassoon sound I love and work to achieve. During the Saturday evening concert, I was especially touched by Dr. Stephanie Patterson's performance of Translations by Natalie Moller. It seems to me that Stephanie represents all the great hopes of the Meg Quigley organization: once a finalist herself, now an accomplished educator and performer AND devoted mom and wife. Her performance shared vulnerability among an audience that received and celebrated her musical offering. I didn't expect to feel so...loved/enriched/enveloped by a "conference" and this is why Meg Quigley is so much more. The final day began with composer, Jenni Brandon, leading yoga followed by Stephanie Corwin giving a workshop in baroque performance practice and two wonderful masterclasses by Sue Heineman and Laura Najarian. Trying to summarize the musical and professional insight these women shared wouldn't honor their words or the experience of the participants. I mean, you just had to be there! The final concert continued to showcase incredible performances: Andrew Brady, Sue Heineman, Ben Kamins, Whitney Crockett, Lee Goodhew...and more. Again, check out the conference booklet to see all the program's rep and performers. This was my first time attending MQVC and I intend to never miss it again. This is THE place to hear and interact with phenomenal bassoonists who share a strong sense of community. It did not escape notice that MQVC set out to inspire and enrich the "whole" bassoonist: yoga with Jenni Brandon, Alexander Technique with Ben Kamins, sessions for high school bassoonists AND their parents. Even the perhaps unintentional "spiritual" element to program rep; Eric Varner's presentation of Campostela, Jaqueline Wilson's performance of Katcina Dances, Stephanie Patterson's previously mentioned performance. Each of these combined to create an atmosphere that manifested: joy, safety, learning, artistry, professional abundance, and genuine interaction for the benefit of all. Oh! I can't possibly forget to mention Janis McKay's performance of Andy Warhol sez...which required a last minute piano collaboration with a friend of John Steinmetz! Again, you had to be there to hear and believe how that obstacle was resolved to allow a wonderful performance by Janis. My heartfelt gratitude to the Meg Quigley Directors, team, and army of supporters, volunteers, vendors, and people making it all possible. This is an incredible opportunity and resource for bassoonists and if you are bassoonist, you should make it a priority to attend.